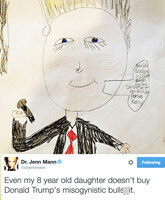 Who are Dr. Jenn Mann's parents? What happened to her radio show? How tall is Dr. Jenn? And is Couples Therapy coming back for another season? These are just a few of some of the most frequently asked questions about VH1 star Dr. Jenn Mann, whose popularity seems to have only grown in light of Family Therapy, her most recent show for the network. To help get some of the answers out there, we've put together a FAQ, featuring the most common questions–and answers–about Dr. Jenn Mann. It's been just under a year since VH1 announced the show, but now, with only a few days left before its official premiere, the Family Therapy with Dr. Jenn cast bios and supertrailer are here! Watch as five family units, crippled by disfunction and distrust, struggle to make amends and heal the many fractures in their relationships. The cast includes luminaries of reality TV and gossip headlines–read on for a complete look at the show, plus info on how you can watch the first episode early! The internet is chock full of Donald Trump detractors. But few people have taken down the chronic foot-in-mouth sufferer and attention addict as artfully as Dr. Jenn Mann's eight-year-old daughter Mendez. Mendez nailed Mr. Trump and his laughable campaign to become the next President of the United States in a simple drawing her mother shared proudly on Twitter. The new season of Couples Therapy sounds certain to bring the drama. Find out who is sharing the house and what kind of relationship issues they hope Dr. Jenn Mann will help them fix. 2015 looks to be quite the year for Dr. Jenn Mann. In addition to her usual packed schedule that includes being a licensed psychotherapist, sports psychology consultant, television host, author, speaker, radio host, entrepreneur, and mother of twins, Dr. Jenn is also taking on one of humanity's greatest challenges: a relationship! Keep reading for our interview with Dr. Jenn in which she reveals how she and her new man -- fellow author, speaker, and entrepreneur Eric Schiffer -- met, and what fans can expect when her SiriusXM radio show returns on a new channel this week and Couples Therapy with Dr. Jenn returns for a new season later this year. After SiriusXM surprisingly dropped Oprah Radio on January 1, fans of The Dr. Jenn Show have been left in adviceless limbo. 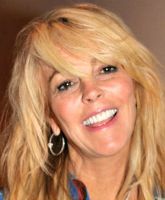 But, host Dr. Jenn Mann announced today that her show will be coming back to SiriusXm on another channel beginning in March! Keep reading for her announcement with the full 411.